When it comes to competing at a high level at major golfing events, most professionals make sure to relax the night before, blow off some steam, and bring their “A” game. 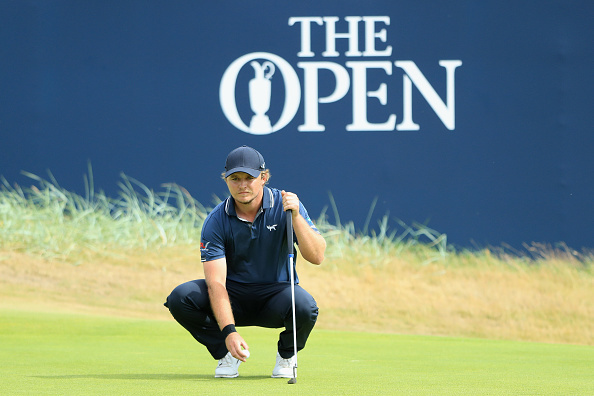 For Eddie Pepperell, he relaxed and blew off some steam in a different way. Pepperell admitted he had a little too much to drink and showed up for the final round of the British Open a bit hungover. “I was a little hungover. I won’t lie. I had too much to drink last night,” he said. Clearly, the hangover did nothing to stop him on this day, because he finished his final round with five birdies to finish the Open at five under. It makes you think, if he had shown up hungover for every round, he might’ve shot a legendary score.